We are a leading Manufacturer of guard mesh and tree guard mesh from Nagpur, India. Leveraging on our latest infrastructure facilities, we are able to offer a wide gamut of Guard Mesh. This tree guard mesh is checked by quality controllers on numerous parameters in order to ensure its excellence. Offered tree guard mesh is precisely manufactured from the best quality material and latest techniques in adherence with the set norms of market. 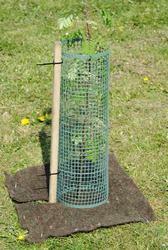 Customers can avail this tree guard mesh from us at nominal prices. Owing to the immense experience and competent team of experts, we are able to offer a supreme quality Tree Guard Mesh. The offered tree guard mesh is designed using high quality of material & leading techniques so as to fulfill all norms of industry. Also, this tree guard mesh is used for protecting small trees from rabbits and deer. 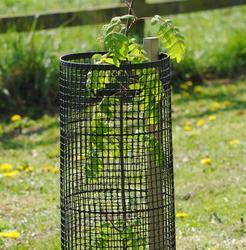 We offer this tree guard mesh in various sizes & customized options in order to meet various requirements of customers. Looking for Guard Mesh ?